Last Tuesday the first Dunkin Donuts in Denver opened. Figuring that opening day might be a little too chaotic we patiently waited. We rolled in at 6am and there was a line. But at least it was contained within the building. By the time we enjoyed our famous DD coffee and a few donuts for good measure, the line was inching its way out the door. The last time I waited in any kind of line for donuts was at Top Pot in Seattle earlier this year. The next time that I wait in any kind of line for donuts, might be when Voodoo opens later this year. 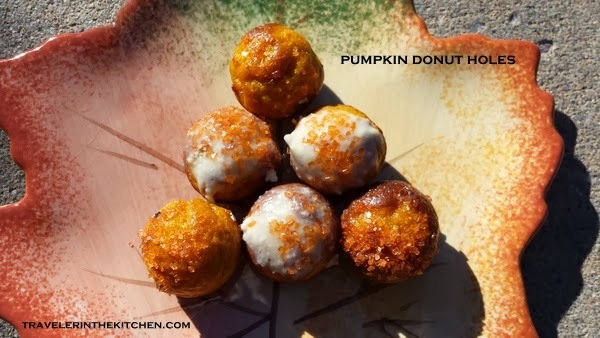 If you want to have donuts without any kind of line (or deep fryer), you can bake them at home. 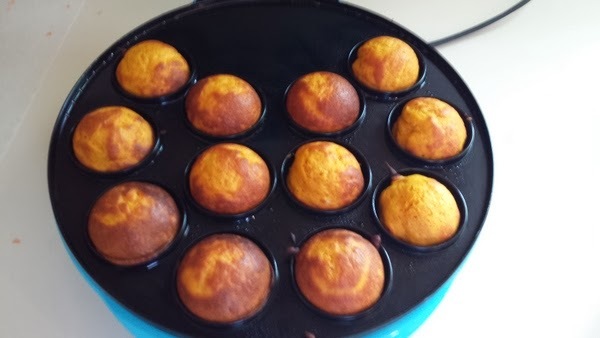 I was given a cake pop / donut hole maker as a gift and today was the day to bake my first fall flavored anything. Have you given in to the fall flavor frenzy yet? If you want to make regular baked donuts using a donut pan, please check out Eclectic Recipes (where I found the recipe for the donut batter and maple cream cheese icing). To make donut holes using a cake pop maker, first read the instructions for your particular maker. I have a "Bella" cake pop maker. Cake pop maker in action! Use a paper towel to lightly oil the surfaces of the maker. Spoon in one teaspoon of batter and close the lid. Bake for 5 minutes then open. Use a small rubber spatula to roll the hot donut holes out of their "divot" (for lack of a better word). I found that I didn't have to re-oil again after the first time and the donut holes never stuck. Let cool on a wire baking rack and then dip the tops into either the maple cream cheese frosting or the maple glaze. Add sprinkles if you want. And you know you do. This recipe made 5-6 dozen donut holes.